With its official debut pencilled in for the Detroit Motor Show next month, BMW has decided to reveal its new M3 and M4 cars. This is the fifth generation of the iconic high-performance sports car BMW M, though this is the first time that they have been given individual model names. BMW says this is to reflect the models that provide the basis of the new vehicles. Another first for the marque is that both the M3 and M4 are fitted with the high-revving, 3.0-litre six-cylinder in-line engine with M TwinPower Turbo technology which has been specifically developed for these models. The engine replaces the 4.0litre V8. The new turbocharged engine produces a maximum output of 431hp with a peak torque of 550Nm. The new powertrain not only has more power than the previous versions but it’s also more frugal; it is 25% more efficient and should return 32mpg on the combined cycle. BMW have also reduced the weight – by more than 80 kgs – and they’ve introduced various weight-saving measures such as a carbon-fibre reinforced plastic roof. 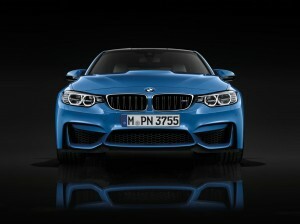 The BMW M3 saloon will reach 0-62mph in 4.3 seconds; the M4 will do it the same time. Both models have a limited top speed of 155mph and a dual clutch gearbox. BMW fans should note that the BMW M3 saloon is a replacement for the outgoing model while the BMW M4 is a replacement for the previous BMW M3 Coupe. There are quite a few styling changes and the handling has been improved to be more assured with particular attention being paid to how the turbulence around the front wheel arches can be minimised. 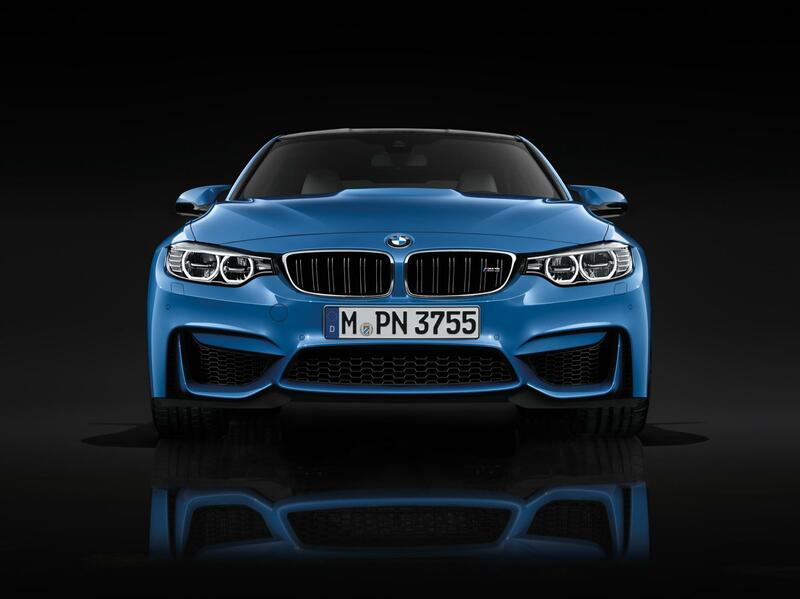 Prices for the BMW M3 saloon start at £56,175 while the starting price for the BMW M4 coupe is £56,653. Production will begin after the Detroit motor show debut with deliveries arriving in June next year. This entry was posted in Car Leasing, Cars, Performance Car, Sports Car and tagged bmw, BMW M3, BMW M4, lease a BMW M3, M3, M4 by Steve Lumley. Bookmark the permalink.